The Icelandic WOW air saga continues to twist and turn, just when you thought it was all sorted, another hurdle appears and clunk and clatter the plans derail and its all change! The proposed investment of Indigo Partners in WOW air has been cancelled by the investment firm behind Frontier Airlines, Wizz Air and Volaris. The halting of investment, therefore, means all negotiations have ended. 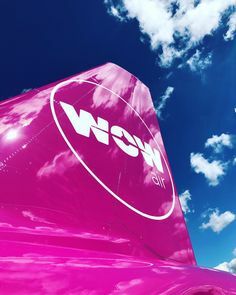 Now WOW has again entered into discussions with the fellow Icelandic air provider, Icelandair, who held talks with the purple plane firm before Indigo popped up. At the time Icelandair said debts were too big at WOW for them to invest, although it is fair to say Icelandair's own finances at the time were not at all super secure. The future of WOW and Icelandair together is not clear, however, we may not have to wait for all that long, according to WOW, both parties aim to conclude the negotiations by Monday, March 25th, 2019.